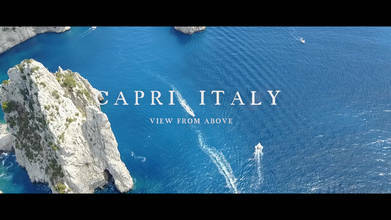 Capri is a small island near the Bay of Naples off the coast of Southern Italy's Campania region. It lies in the Tyrrhenian Sea, an extension of the Mediterranean. It is an island known not only for cultural sites but a world-reknowned sailing and yachting scene, and is a playground for Europe's super rich. Contributor Paradise Picnic Photography used a DJI Mavic drone to create an amazing aerial portrait of this Mediterranean paradise.